Zach Gowen continually defies the odds. After losing his left leg to cancer at age 8, he went on to become the first 1 legged professional wrestler in history. At 19 years old, he signed a 3 year contract with the World Wrestling Entertainment and was featured prominently on their television program Smackdown! being involved in on air story lines with cultural icons Hulk Hogan, Roddy Piper, Brock Lesnar and Vince McMahon. Zach became an instant inspiration to millions worldwide proving that nothing is impossible. While his professional life was on fire, his personal life spiraled down quickly. Zach hit a bottom in his life physically, mentally, and spiritually. Only what can be described as an act of Providence pulled Zach from the depths of despair and hopelessness. This spiritual intervention was the spark that would become the fire in his soul. This fire now illuminates all who come in contact with him through his various platforms. 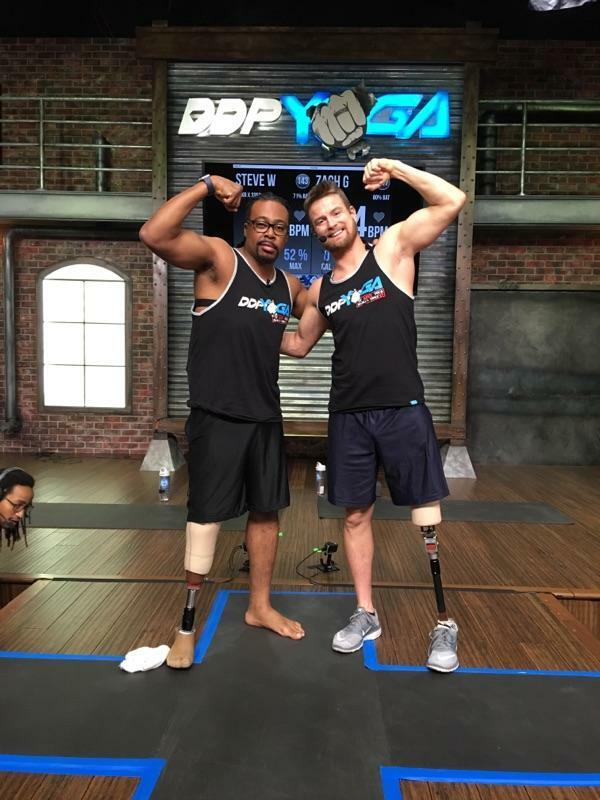 Whether it’s on stage at a speaking engagement, in the ring at a professional wrestling show, instructing adaptive and non-adaptive DDPYoga workouts, or on NBC's American Ninja Warrior..... Zach’s message is simple: Life ain't about what happens to us, life is about how we RESPOND to what happens to us! Zach lives in the Detroit area with his wife Kelly and their boys Nolan and Henry, ages 6 and 2.